This time of year is my favourite, and inspired the Golden Days Headband. Who doesn’t love the changing colours of the trees, the golden light that autumn brings? I love the bounty of colours–deep greens, reds, brunt oranges and golden yellows that the fall brings. 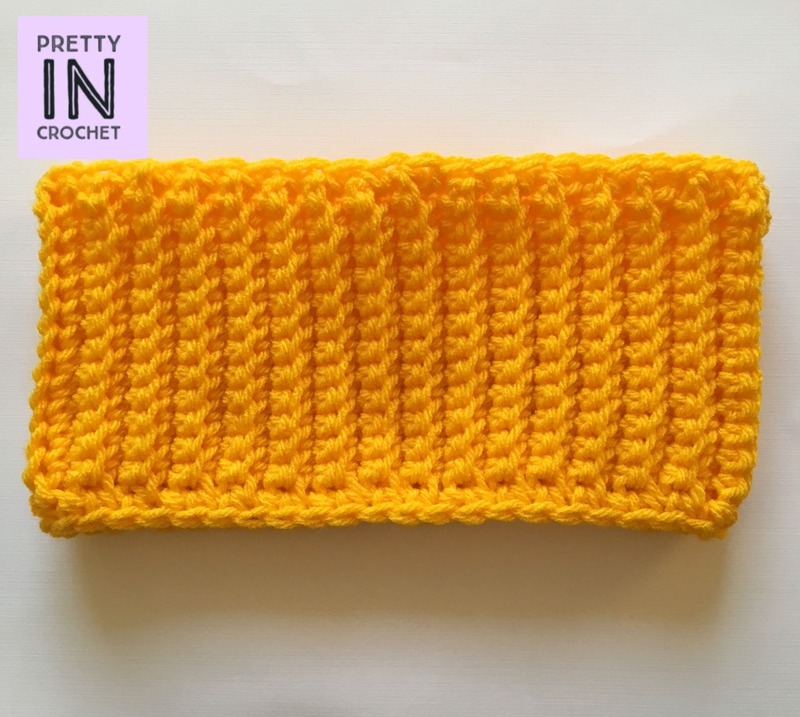 The Golden Days Headband is a beautiful yellow, it’s perfect for the cooler weather and adds a pop of autumn colour to your wardrobe. Plus, it’s easy peasy to make, even for beginners. I decided to create some ribbing in this pattern, and I love the way it worked out. It creates a textured effect, but is also simple and chic. Single crochets worked in the back loop create the ribbed effect, and I love the way this pattern worked up. Not sure how to work in the back loop? I can help you with that. This is actually super easy. Once you have your first row of single crochets, chain one and turn your work. 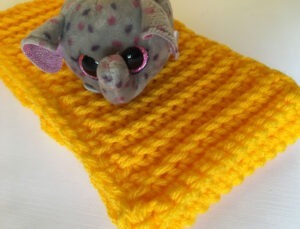 Now, look carefully at the top of your single crochet. Your stitch will have a nice little V to it. Instead of inserting your hook into both loops of that V, simply insert it into the back loop, the one the furthest away from your hook. Not too hard right? Complete your single crochet by pulling up a loop and then yarn over, pull through both loops on the hook. You’re working in the back loop! Still not sure? Click here for more help. Ready for the pattern now? Here we go! Row 1: In second ch from hook, sc, and sc in each st across. Ch 1, turn. Row 2: Working in the back loop, sc in first st and in each st across. Ch 1, turn. 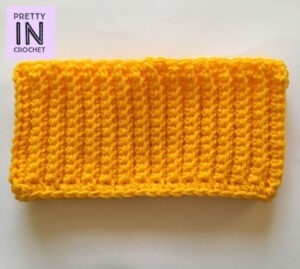 Repeat row 2 for pattern until length reaches 19 inches, or until the length reaches around your head. Whip stitch both ends together. Row 1: Sc in first st after your whip stitch and sc evenly across the top. Row 2: Repeat row 1 on the opposite side. Weave in any ends. I hope you love this pattern as much as I do. I have a round up of fall patterns coming soon, so be sure to follow the blog either on my Facebook page, or by subscribing.